I love my home state of Arkansas. 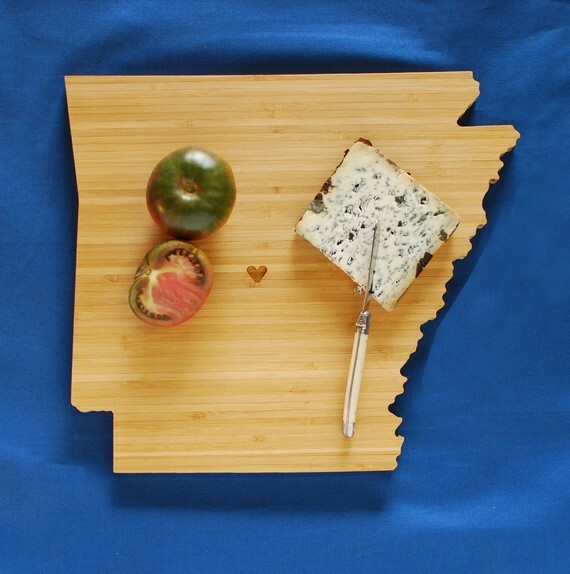 What better way to show my love than with an Arkansas-shaped cutting board? And the best part—you can have the heart placed wherever you like! How sweet, and personal, is that? Categories: Uncategorized | Tags: arkansas, i want this, kitchen utensils | Permalink.